Once a kid hits those elementary school years, it’s time for them to start discovering the importance of earning and saving money. 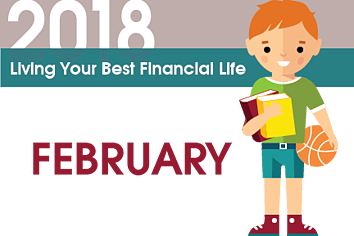 Here are some of the ways that children can start learning about finances and how to handle money. It’s always easier to hit financial milestones if you have something that you are working towards. Even young kids can come up with goals to help them learn more about finances. For example, they can create a savings plan to purchase a new toy; pick a charity to which they want to donate, or come up with ways to earn money. Once a child hits elementary school, they are ready to start learning about earning money. One way to do this is by assigning chores. Obviously, every child should have basic responsibilities which are expected, such as making their bed, cleaning their room, and picking up after themselves. However, for those jobs that require just a little more effort on the part of the child, there can be a monetary reward. The more difficult the job, the higher the reward can be. It’s never too early for a child to start learning the importance of saving money. Cyprus offers accounts that are specifically designed for those 12 years of age and under. They will receive a free gift upon opening the account and a stamp every time they deposit $10 or more. Once they earn 10 stamps, they can select a $10 gift card, which is a great way to teach about interest. Accounts require at least a $5 initial deposit and your child’s social security card is required at opening.